Website page speed is one of the most important website optimization area in SEO. Low Page load time of your website can make your visitors happy or else your potential customers won’t hesitate to head to your competitor’s site. The average attention span time of online visitors has decreased and that mean now sites have to be blazing fast and attractive to attract visitors attention. 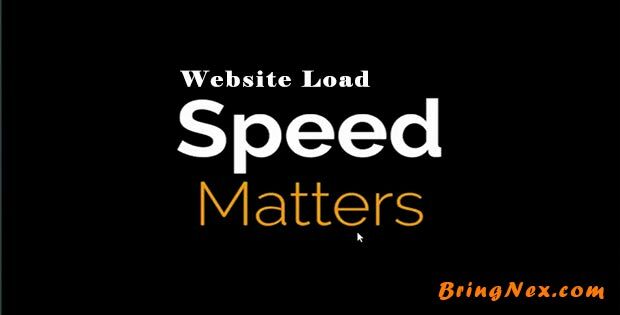 What Page speed means for website owners according to a recent survey nearly half of web users expect a site to load in 2 seconds or less, and they tend to abandon a site that isn’t loaded within 3 seconds. So, a website page speed test is always suggested to check site page speed. 79% of online shoppers who faced trouble with website performance don’t buy again from the same site. And 44% of them would share it with a friend if they had a poor experience shopping online. One second delay in page load time can result in a 7% fewer conversions. For an e-commerce site, if it is making $100,000 per day, one-second delay cost them $2.5 million every year. Read more on e-commerce SEO tips for online stores. How Does Web Page Speed Impact Your SEO? Google has shifted its focus on delivering best onsite user experience and quality results. Google seems to reward fast loading websites by placing it high on SERP compared to very slow websites. And that clearly indicates a poor performing website with poor user experiences deserves less promotion in search results. Making it hard to rank higher in Search engine results. More SEO Tips and Tutorials for you. If a server takes more than one second to load the core of your website, then you have higher user bounce rate and low conversion rate. In hosting, you get what you pay for. So, make sure to research and opt for the best hosting solutions for your business needs. If you aiming for a faster website page speed, check for the right server infrastructure and configuration. When choosing a web host, pay close attention to the average load time. Ideally, it should be less than 500 milliseconds — the lower, the better. CMS plays an important role in optimization your web performance. Depending on your company size and requirements use a custom content management system (CMS) to power your website for better speed. Test your CMS with other alternatives to analyze speed and performance and switch to better CMS. This is the reason why the number of WordPress users equal the entire population of Turkey (over 75 million users!). Generally, your website loads faster to a user located around your server hosting location. But as an online business owner you have to serve to 100’s of countries and in order to provide consistent fast speed to every user you have to be tricky. This is where CDN’s play a useful role for website optimization. A CDN helps host a version of your website across servers in multiple locations, providing visitors a version of your website closest to them. GZIP Compression is something which should be enabled by default by your hosting service provider. But if it’s not there can ask for it. How GZIP compression works, – example – let’s say you have a group of files about 300MB in size, and when you compress it becomes a smaller one file with all of your files intact in 48MB size. The good news is that this technology is also available for websites, through GZIP. In an image based websites, images alone take up the most of their loading time. Minification and compression of images can reduce the sizes by 80% and more. Thus increasing the load speed of your web pages. Luckily there are a lot of tools available which can help you reduce the size of your images without losing much of your image quality. Js and CSS Magnification is also recommended for effective site performance increase. Image size and bandwidth used to load all individual images are one of the top reasons for the high-load time of your site. Because browser has to make a new request for each time to load these images and load separately. The more the request are made the slower your site becomes. Instead, you can combine all background images to one single image. Combining background images reduce server requests by pulling one major image that is then served properly using CSS commands. Hunger for more features for the websites sometimes increases the burden on your site, many users sacrifice their site performance by installing a new add-on which isn’t worth usually. Limit the number of plug-ins and add-ons on your website to maintain significant load speed. If you are using WordPress CMS, plug-ins like Performance Profiler can prove handy to investigate in your resources utilization and optimize website page speed. Page speed is an important part of website optimization, ensuring that potential customers don’t leave your site for your competitors’. While embedding any external media to your website make sure you are linking to fast speed servers. External media such as videos are great engagement tool and valuable content for your site; however, it can reduce the loading speed of your site. Well-designed and attractive looking themes should not be the only attributes you should check while deciding on new themes. The themes should be less in size and quick to load also. Some ready-made WordPress themes have lots of coding and are very slow to load. 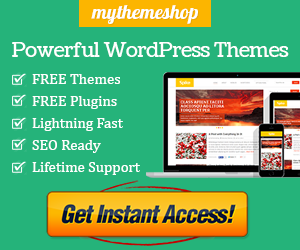 Choose from powerful, mobile friendly and fast loading WordPress themes. Best Deal for you. Widgets may increase your loading speed of web pages. Social buttons, sharing buttons and widgets like these takes much of browser time to load. Optimize your widgets need and keep the only required widgets on your site. 301 redirection are considered as one of the best practices to change your site structure without losing search engine juice but increased number of 301 redirections creates confusion for browser and your web speed gets slow because it has to move multiple times to get the new destination from old one. As per a recent post on SEOmoz, site speed is a new signal to your Google rankings. The web page load time is one of the contributors to Google rankings, and it also responsible for the increase and decrease of your websites conversion rate. Every second’s rise in the load time of your site increases your customer’s confidence and trust. Use these techniques and tips provided to land and keep visitors on your site once they find you.